Welcome to the first Web Site of Hamadeh Family In Baakline. 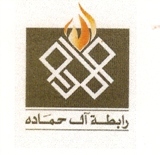 Hamdeh Family Union رابطة آل حمادة Established in 1993- is a community-based organization, preserves, strengthens and empowers Hamadeh Family by delivering culturally-sensitive, services. Address the needs of Family Members in Baakline El Shouf and neighborhoods. Deliver programs and services to our Family Members in their ways that reflect their culture. Advocate on behalf of the families we serve to ensure that they have appropriate access to available resources. Establish partnerships with government agencies, corporations, foundations and other community-based organizations in order to fully implement our mission. The staff of the Hamadeh Family Union is largely composed of members of the communities we serve. Many of us come from different educational backgrounds and highly different connections. This help the union to serve all family branches and locations. Members that are found in Baakline, Shouf, Lebanon or all over the world. We are proud that Hamadeh Family Union has succeeded in enhancing family life in the communities we share and has helped transform the approach to family members in crisis, and social work. Hamadeh Family Union serves the family Members and put a big hand in all Weddings, Funerals, Meetings, Activities, and Communications. and any attachments is strictly prohibited.